We are one of the most trusted Manufacturers, Suppliers and Exporters of Durateek in India. Dental Acrylic Teeth Durateek are Single layered and single shaded teeth. 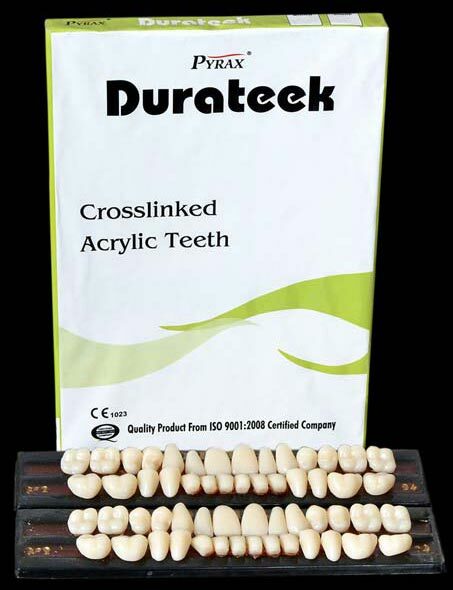 Our range of Durateek is best suited for temporary dentures. We provide full sets (28), set of six (Anteriors) and set of eight (posteriors) uppers & lowers. Durateek is available in 6 shades and 16 moulds.